Whites suffer first away loss. Blackburn: Raya, Reed, Smallwood, Armstrong, Graham, Mulgrew, Bell, Dack, Lenihan, Evans, Bennett. Subs: Leutwiler, Williams, Rodwell, Rothwell, Brereton, Conway, Palmer. Leeds: Peacock-Farrell, Berardi, Cooper, Jansson, Dallas, Phillips, Klich, Alioski, Saiz, Roofe, Roberts. Subs: Blackman, Forshaw, Hernandez, Pearce, Baker, Shackleton, Clarke. Two Blackburn Rovers goals from corners, handed Leeds United a first defeat on the road under head coach Marcelo Bielsa. 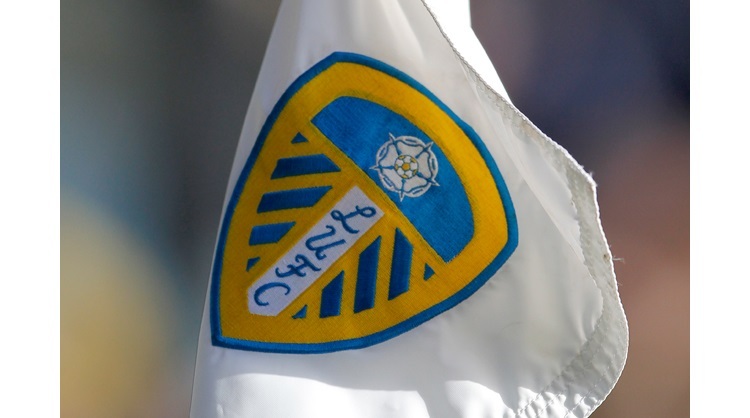 Bielsa welcomed back Gaetano Berardi and Kemar Roofe to the starting line-up for the trip across the Pennines, who replaced Luke Ayling and Barry Douglas, whilst Pablo Hernandez was named on the bench. The Whites made the worst possible start, after conceding back to back corners, Danny Graham headed home Harrison Reed’s second set-piece. Leeds’ first chance came in the seventh minute, Ezgjan Alioski put in a good low cross, but Tyler Roberts could only poke wide. Samuel Saiz then struck on goal, forcing a fine save from Blackburn stopper David Raya from 25 yards. Leeds then had goalkeeper Bailey Peacock-Farrell to thank to prevent Blackburn from extending their lead, Armstrong saw an effort blocked, before the Northern Ireland international superbly kept out Bradley Dack. Peacock-Farrell was again called into action when Adam Armstrong put in a good cross and Smallwood got an effort away. Following a poor Leeds clearance Dack tried his luck from distance, but his attempt fizzed wide. At the other end, the ball fell kindly to Stuart Dallas 20 yards from goal, he struck and made good contact, but his effort went wide. Armstrong then did well to work room for a shot just inside the Leeds penalty area and he nearly found the top corner with a curling attempt, but it was just too high. With virtually the last kick of the first half, Leeds drew level in stoppage time, Samuel Saiz floated in a fine cross, Berardi floated into the box and squared the ball to Mateusz Klich who couldn’t miss, netting his fifth goal of the campaign, erupting the 7,717 travelling Leeds fans. After the break Leeds looked to take ascendancy of the match following the goal and Roofe saw an early effort blocked. Peacock-Farrell was again called into action, this time he denied Armstrong from a narrow angle. Blackburn regained the lead in the 70th minute, substitute Craig Conway delivered a corner with his first touch and Darragh Lenihan headed home at the back post. Leeds looked to immediately hit back, Klich fired a volley from the edge of the box forcing Raya into a stop. Blackburn went close from another set piece with 12 minutes remaining, Conway delivered and Dack fired a volley over the bar. Peacock-Farrell then kept Leeds in the match, with another superb save to deny Armstrong. The ball then sat up nicely for Berardi to strike from the edge of the box, but he couldn’t keep his effort down. Saiz then picked out Klich central, just inside the Blackburn area, he fired an effort heading for the top corner, but Raya made a superb stop. Leeds pushed for an equaliser in the closing stages, but Blackburn held out to secure all three points.